8Yesterday, Mayor de Blasio announced that New York City had acquired, for $160 million, a large parcel needed to create the new Bushwick Inlet Park, located on the East River shoreline of Williamsburg, Brooklyn. This final parcel is just one of six that will go into the new 27-acre park; 3.5 acres are already finished and open to the public. 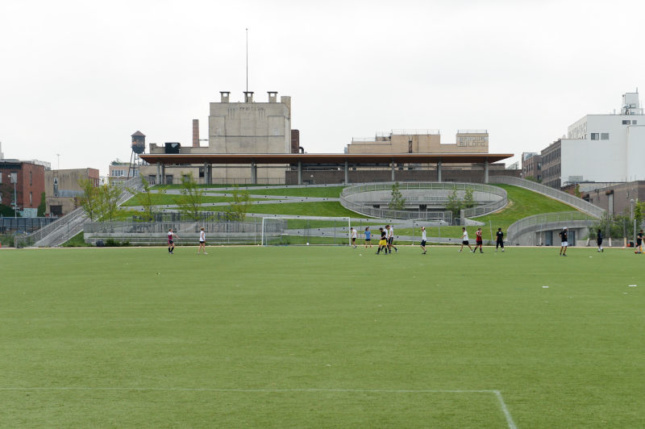 The already-completed section, designed by Brooklyn-based Kiss + Cathcart, features a multi-purpose sports field, viewing platform, and community activities building, in addition to other amenities. 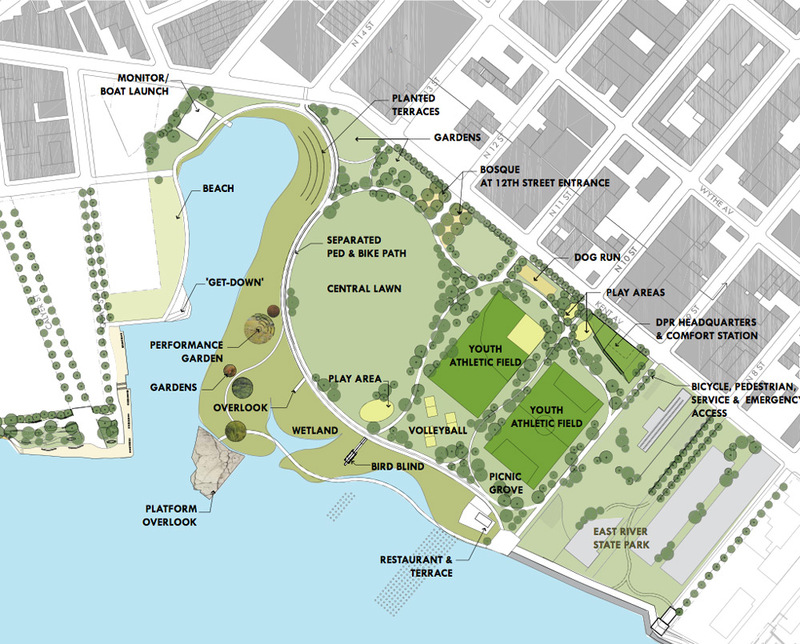 Many ideas have been floated for the new park’s design, including a “Maker Park” that would make sure of derelict industrial facilities near the inlet, though the City and NYC Parks have not released final plans.